Our 'Coffee of the Month' is Breakfast World Coffee! 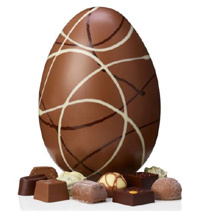 We now have the full range of Thornton's Chocolates available on our website! Just decide on a 6 month or 12 month package and how much you want sending each month in beans or ground coffee, and we will take care of the rest. Fresco Flavoured coffee is one of the widest ranges of Quality Gourmet Flavoured coffee available today. From the irresistible Blue Bell Mountain to our long list of Arabica coffee in beans, ground, decaffeinated and even instant. Try one of over 100 of our Arabica Coffee flavours like smooth Hazelnut Cream, to the nutty Maple Walnut. Delight in our range of Vanilla coffee or consume yourself in the fruity flavours like Lemon, Blueberry and Orange. A flavour to suit everyone in quality Arabica coffee. Taste Fresco Flavoured coffee today. Our beans are sourced responsibly from some of the finest soils in the world, giving that extra special taste. Using natural flavourings, we can provide sugar free coffee that allows the true flavour to extract itself during the brewing process. 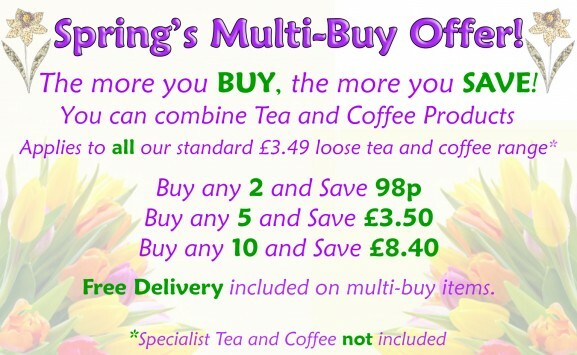 Please view our online shop and choose your coffee today. We accept a wide range of payment options to help you complete your order. With our next day delivery service direct to your door you can be tasting your favourite flavour very soon. If you are as passionately mad about freshly prepared, gourmet roasted coffee as we are then you will quite simply be delighted by our extraordinarily diverse choice of smooth and creamy aromatic blends with each one offering its very own distinctly unusual yet completely tempting and fully rewarding personality. Whether you’re a dab handed connoisseur looking for a dynamic range of full flavoured coffee beans that you can grind yourself for an unrivalled fruity freshness, or you want to brighten up your day with a shared cup of flavoured instant coffee with family or friends whilst trying something inimitably different such as our best selling hazelnut coffee, you can rest assured that you will be literally spoilt for choice when you buy coffee online from our website. Furthermore, if you know someone else who is a serious coffee lover and you are looking for an innovative gift idea then you may be interested to know that we run a subscription based coffee club which gives you the chance of trying out a new and exciting blend delivered to your door each month along with a regular newsletter and exclusive discount offers for members. We are convinced that there is simply no better way of getting yourself acquainted with some of the best tasting, traditionally harvested flavoured coffee beans and instant coffee varieties from the most reputable and highly respected coffee growing regions that the world has to offer!